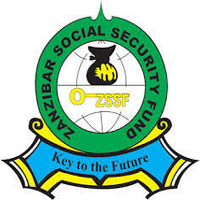 Zanzibar Social Security Fund has set aside funds for the operations during the financial year 2017/2018. It is intended that part of the proceeds of the fund will be used to cover eligible payments under the contract for the Consultancy Services for the Provision of Geotechnical Survey for the Proposed ZSSF Michenzani Mall, Zanzibar - Tanzania. Zanzibar Social Security Fund (ZSSF) as part of its drive to enhance the efficiency of its expanding operations and diversify its surplus fund wishes to embark on Consultancy Services for the Provision of Geo technical Survey for the Proposed ZSSF Michenzani Mall, Zanzibar - Tanzania herewith wishes to assign a reputable consulting firm or consultant to render consultancy services on the named proposed assignment. i. The Consultant's task is to perform Geotechnical Investigations at the proposed project location to ascertain the characteristics of actual soil/rock strata, and the engineering properties of each soil/rock strata to review the design of the foundation and submit recommendations for types of foundations and safe bearing pressure for the foundation design, the investigation shall be carried out in the manner approved by the client and under the supervision of his authorized representative. iii. Survey for location of boreholes and levels of the ground thereon. iv. Sub-soil investigation by rotary and/or wash boring work. vi. Standard penetration tests for soil strata and rock coring for rock strata. ix. Ground water level observations. xi. Laboratory tests as specified. ZSSF now invites eligible consultants to express their interest in providing the above mentioned services. Interested firms must provide information indicating their professional capability to undertake the consultancy services. Such information shall include a valid Business License, A valid VAT and TIN certificate. a valid ZSSF registration certificate if applicable, qualification and experience of key staffs, a list of recent performed contracts with the similar nature, audited Financial statements for the recent three years, Power of Attorney, Project methodology. These information shall apply during the evaluation. A shortlist of consultants will be prepared on the basis of Expression of Interest submitted to ZSSF in writing. The selection of a consultant will be Selection Based on Least Cost Selection (LCS) in accordance with procedures set out in the Public Procurement and Disposal of Public Assets, Act number 11 of 2016. Interested consultants may obtain further information at the address given below between 8:30 hours and 15:30 hours, Monday to Friday inclusive, exclusive of public holidays, before the deadline for submission of Expression of Interest. All Expressions of Interest in one original plus two copies, properly filled in, and enclosed in plain envelopes marked "Expression of Interest for the Consultancy Services for the Provision of Geotechnical Survey for the Proposed ZSSF Michenzani Mall, Zanzibar - Tanzania.- Tanzania must be delivered to the address ZSSF Building Kilimani Mnara wa Mbao Zanzibar. The deadline for the submission of expression of interest is Monday, 4th December, 2017 at 11:30 hrs local time. The response to expression of interest in writing, should be directed to Managing Director, ZANZIBAR SOCIAL SECURITY FUND, P.O.BOX 2716, ZANZIBAR. Late, partial and electronic expression of interest, and expression of interest not opened at the expression of interest opening ceremony shall not be accepted for evaluation irrespective of the circumstances.